Candied yams...hmmmm this is the first time I read of it. Over here we called this yam , sweet potato and we don't normally candied it for it is already sweet by nature. Depending on the country, the term "yam" is used to embrace many tubers, including the sweet potato, which is no relation. But after I found out how Curtis Stone candied these yams, I knew I had to try it out, just for curiousity sake and true enough, it was great and great as a side dish for any meat dish. It goes well with roast meat especially. Yumm Yumm ! Candied yams are easy to prepare and all you have to do is cut them into big cubes...the more edges the better so that it can get more crispy when the yam caramelized while being roasted in the oven. Drizzle olive oil and sprinkle salt all over evenly. Bake them in the oven for 30 minutes at 400 degrees F . Take it out and drizzle maple syrup or honey over the yams and put them back into the oven for another 10 minutes. So easy ...right? Serve these candied yams as a side dish for a meat main dish or as a snack while watching your favourite movie would be great. Of course , I ate this while facing the idiot box and Daddy had his while surfing the net. I guess it must be nice for him too for he ate them without any complaint :p I took his empty bowl to the kitchen after 30 minutes ! The empty bowl tells a thousand words...it was good ! I thought it would be very sweet but no..it wasn't! taste of the slightly burnt honey smell...mmmm delish! bookmark this recipe, sound so good and easy to prepare..Thanks for kind sharing. so it's yam or sweet potates? Funny how Americans call sweet potatoes yams! I bet this would taste soooooo good though I love sweet potatoes so much I'll happily eat them boiled and plain! Great recipe...you would hardly think you're eating something healthy with something so naturally sweet! Yes, certain part of the country here call sweet potato yam. It confused me a lot when I first came here. This is one side dish that they will serve on Thanksgiving. I actually like them a lot but Carlos is not a fan of sweet potato at all so I hardly cook with it. This is something my daughter would absolutely love! Excellent! Sounds easy and delicious! Makes me drooling.. Simple and delicious is always good after a long there. This sounds like a perfect snack! Lovely candied yams, I am a big fan. 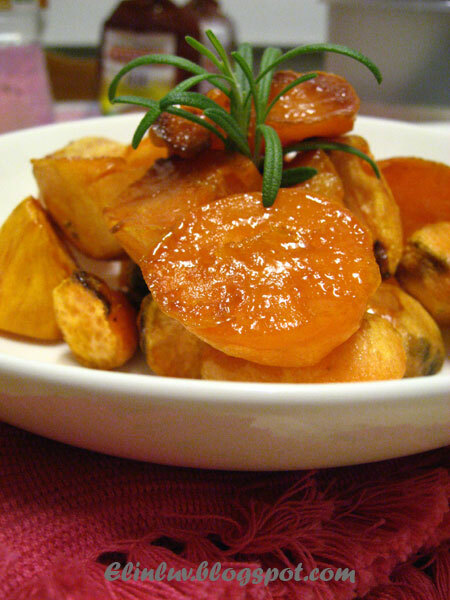 I love sweet potatoes or yams. I sometimes boil them and sprinkle some brown sugar on them. Your recipe is great and easy, I can eat these anytime. Something I always think of in the fall but what a great reminder to enjoy then anytime. 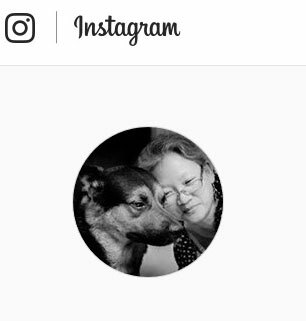 Angie...no sweet potato in Germany? 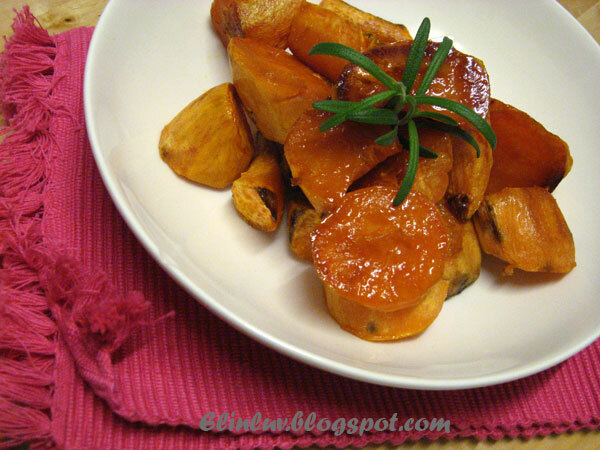 Tanantha....yuppy, roasted yam is more flavorful with the honey drizzle on them...delish ! Emily... :) it is delish! Jess..... :) it is yummy ! I love roasting veggies.. it really brings out the flavor in the vegetables! 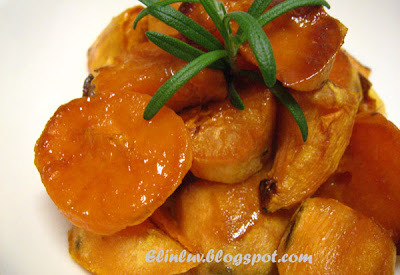 The yams look so tasty and caramelized.. yumm! So yummy and your pics make me drool! Hi Cheah....haha try them out...you will love it! 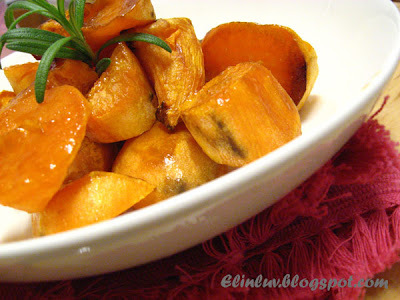 I love candied sweet potatoes! So healthy and tasty! 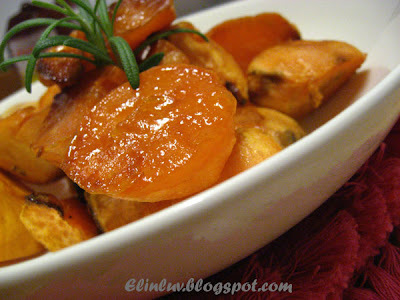 elinluv, i love sweet potatoes.. anything yammy, i like!!! Extra sweet potatoes! hmm..mm... must be very delicious.